12 ¶ Then returned they unto Jerusalem from the mount called Olivet, which is from Jerusalem a sabbath day's journey. 42 ¶ And they continued stedfastly in the apostles' doctrine and fellowship, and in breaking of bread, and in prayers. 1 ¶ Now Peter and John went up together into the temple at the hour of prayer, being the ninth hour. 12 ¶ And when Peter saw it, he answered unto the people, Ye men of Israel, why marvel ye at this? or why look ye so earnestly on us, as though by our own power or holiness we had made this man to walk? 32 ¶ And the multitude of them that believed were of one heart and of one soul: neither said any of them that ought of the things which he possessed was his own; but they had all things common. 26 ¶ Then went the captain with the officers, and brought them without violence: for they feared the people, lest they should have been stoned. 1 ¶ And in those days, when the number of the disciples was multiplied, there arose a murmuring of the Grecians against the Hebrews, because their widows were neglected in the daily ministration. 8 ¶ And Stephen, full of faith and power, did great wonders and miracles among the people. 1 ¶ Then said the high priest, Are these things so? 30 ¶ And when forty years were expired, there appeared to him in the wilderness of mount Sina an angel of the Lord in a flame of fire in a bush. 42 ¶ Then God turned, and gave them up to worship the host of heaven; as it is written in the book of the prophets, O ye house of Israel, have ye offered to me slain beasts and sacrifices by the space of forty years in the wilderness? 51 ¶ Ye stiffnecked and uncircumcised in heart and ears, ye do always resist the Holy Ghost: as your fathers did, so do ye. 54 ¶ When they heard these things, they were cut to the heart, and they gnashed on him with their teeth. 10 ¶ And there was a certain disciple at Damascus, named Ananias; and to him said the Lord in a vision, Ananias. And he said, Behold, I am here, Lord. 32 ¶ And it came to pass, as Peter passed throughout all quarters, he came down also to the saints which dwelt at Lydda. 36 ¶ Now there was at Joppa a certain disciple named Tabitha, which by interpretation is called Dorcas: this woman was full of good works and almsdeeds which she did. 1 ¶ And the apostles and brethren that were in Judaea heard that the Gentiles had also received the word of God. 19 ¶ Now they which were scattered abroad upon the persecution that arose about Stephen travelled as far as Phenice, and Cyprus, and Antioch, preaching the word to none but unto the Jews only. 1 ¶ Now about that time Herod the king stretched forth his hands to vex certain of the church. 5 ¶ Peter therefore was kept in prison: but prayer was made without ceasing of the church unto God for him. 20 ¶ And Herod was highly displeased with them of Tyre and Sidon: but they came with one accord to him, and, having made Blastus the king's chamberlain their friend, desired peace; because their country was nourished by the king's country. 8 But Elymas the sorcerer (for so is his name by interpretation ) withstood them, seeking to turn away the deputy from the faith. 42 ¶ And when the Jews were gone out of the synagogue, the Gentiles besought that these words might be preached to them the next sabbath. 1 ¶ And it came to pass in Iconium, that they went both together into the synagogue of the Jews, and so spake, that a great multitude both of the Jews and also of the Greeks believed. 19 ¶ And there came thither certain Jews from Antioch and Iconium, who persuaded the people, and, having stoned Paul, drew him out of the city, supposing he had been dead. 1 ¶ And certain men which came down from Judaea taught the brethren, and said, Except ye be circumcised after the manner of Moses, ye cannot be saved. 6 ¶ And the apostles and elders came together for to consider of this matter. 36 ¶ And some days after Paul said unto Barnabas, Let us go again and visit our brethren in every city where we have preached the word of the Lord, and see how they do. 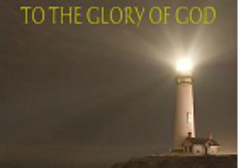 25 ¶ And at midnight Paul and Silas prayed, and sang praises unto God: and the prisoners heard them. 35 ¶ And when it was day, the magistrates sent the serjeants, saying, Let those men go. 16 ¶ Now while Paul waited for them at Athens, his spirit was stirred in him, when he saw the city wholly given to idolatry. 22 ¶ Then Paul stood in the midst of Mars' hill, and said, Ye men of Athens, I perceive that in all things ye are too superstitious. 32 ¶ And when they heard of the resurrection of the dead, some mocked: and others said, We will hear thee again of this matter. 7 ¶ And he departed thence, and entered into a certain man's house, named Justus, one that worshipped God, whose house joined hard to the synagogue. 18 ¶ And Paul after this tarried there yet a good while, and then took his leave of the brethren, and sailed thence into Syria, and with him Priscilla and Aquila; having shorn his head in Cenchrea: for he had a vow. 24 ¶ And a certain Jew named Apollos, born at Alexandria, an eloquent man, and mighty in the scriptures, came to Ephesus. 8 ¶ And he went into the synagogue, and spake boldly for the space of three months, disputing and persuading the things concerning the kingdom of God. 8 ¶ And the next day we that were of Paul's company departed, and came unto Caesarea: and we entered into the house of Philip the evangelist, which was one of the seven; and abode with him. 1 ¶ Men, brethren, and fathers, hear ye my defence which I make now unto you. 3 ¶ I am verily a man which am a Jew, born in Tarsus, a city in Cilicia, yet brought up in this city at the feet of Gamaliel, and taught according to the perfect manner of the law of the fathers, and was zealous toward God, as ye all are this day. 1 ¶ And Paul, earnestly beholding the council, said, Men and brethren, I have lived in all good conscience before God until this day. 6 ¶ But when Paul perceived that the one part were Sadducees, and the other Pharisees, he cried out in the council, Men and brethren, I am a Pharisee, the son of a Pharisee: of the hope and resurrection of the dead I am called in question. 12 ¶ And when it was day, certain of the Jews banded together, and bound themselves under a curse, saying that they would neither eat nor drink till they had killed Paul. 1 ¶ Now when Festus was come into the province, after three days he ascended from Caesarea to Jerusalem. 13 ¶ And after certain days king Agrippa and Bernice came unto Caesarea to salute Festus. 1 ¶ And when it was determined that we should sail into Italy, they delivered Paul and certain other prisoners unto one named Julius, a centurion of Augustus' band. 12 ¶ And because the haven was not commodious to winter in, the more part advised to depart thence also, if by any means they might attain to Phenice, and there to winter; which is an haven of Crete, and lieth toward the south west and north west. 21 ¶ But after long abstinence Paul stood forth in the midst of them, and said, Sirs, ye should have hearkened unto me, and not have loosed from Crete, and to have gained this harm and loss. 1 ¶ And when they were escaped, then they knew that the island was called Melita. 11 ¶ And after three months we departed in a ship of Alexandria, which had wintered in the isle, whose sign was Castor and Pollux. 17 ¶ And it came to pass, that after three days Paul called the chief of the Jews together: and when they were come together, he said unto them, Men and brethren, though I have committed nothing against the people, or customs of our fathers, yet was I delivered prisoner from Jerusalem into the hands of the Romans. 23 ¶ And when they had appointed him a day, there came many to him into his lodging; to whom he expounded and testified the kingdom of God, persuading them concerning Jesus, both out of the law of Moses, and out of the prophets, from morning till evening.